Currently 25 states and the District of Columbia have medical cannabis programs. On Nov. 8, Arkansas, Florida and North Dakota will vote on medical cannabis ballot initiatives, while Montana will vote on repealing limitations in its existing law. We have no political position on cannabis legalization. We study the cannabis plant, also known as marijuana, and its related chemical compounds. Despite claims that cannabis or its extracts relieve all sorts of maladies, the research has been sparse and the results mixed. At the moment, we just don’t know enough about cannabis or its elements to judge how effective it is as a medicine. The jury is still out on marijuana’s medical benefits. From a research standpoint, cannabis is considered a “dirty” drug because it contains hundreds of compounds with poorly understood effects. That’s why researchers tend to focus on just one cannabinoid at a time. Only two plant-based cannabinoids, THC and cannabidiol, have been studied extensively, but there could be others with medical benefits that we don’t know about yet. THC is the main active component of cannabis. It activates cannabinoid receptors in the brain, causing the “high” associated with cannabis, as well as in the liver, and other parts of the body. The only FDA-approved cannabinoids that doctors can legally prescribe are both lab produced drugs similar to THC. They are prescribed to increase appetite and prevent wasting caused by cancer or AIDS. Cannabidiol (also called CBD), on the other hand, doesn’t interact with cannabinoid receptors. It doesn’t cause a high. Seventeen states have passed laws allowing access to CBD for people with certain medical conditions. Our bodies also produce cannabinoids, called endocannabinoids. Researchers are creating new drugs that alter their function, to better understand how cannabinoid receptors work. The goal of these studies is to discover treatments that can use the body’s own cannabinoids to treat conditions such as chronic pain and epilepsy, instead of using cannabis itself. 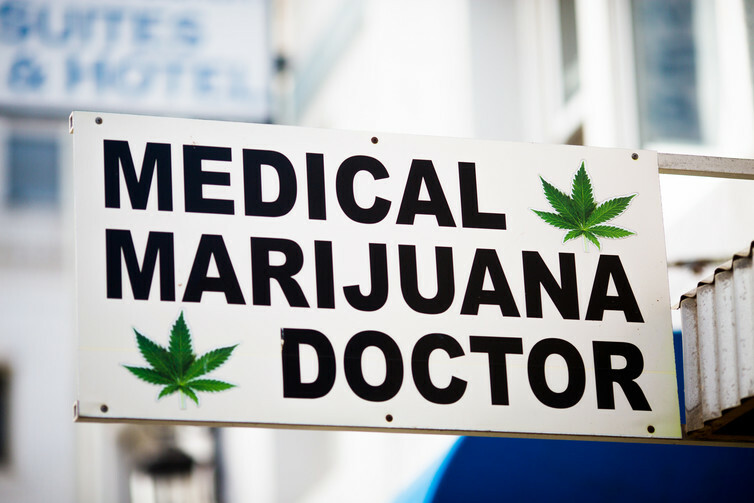 Cannabis is promoted as a treatment for many medical conditions. We’ll take a look at two, chronic pain and epilepsy, to illustrate what we actually know about its medical benefits. Research in people suggest that certain conditions, such as chronic pain caused by nerve injury, may respond to smoked or vaporized cannabis, as well as an FDA-approved THC drug. But, most of these studies rely on subjective self-reported pain ratings, a significant limitation. Only a few controlled clinical trials have been run, so we can’t yet conclude whether cannabis is an effective pain treatment. In people the evidence is much less clear. There are many anecdotes and surveys about the positive effects of cannabis flowers or extracts for treating epilepsy. But these aren’t the same thing as well-controlled clinical trials, which can tell us which types of seizure, if any, respond positively to cannabinoids and give us stronger predictions about how most people respond. 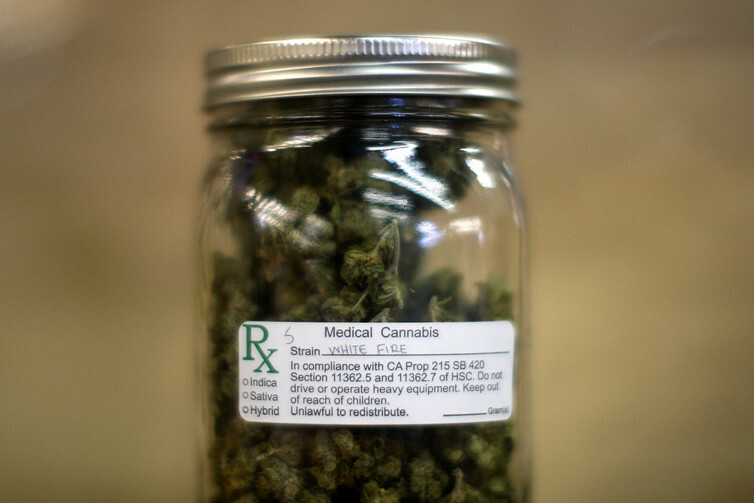 A jar of medical marijuana. Cannabis and its related compounds, THC and CBD, are on Schedule I of the Controlled Substances Act, which is for drugs with “no currently accepted medical use and a high potential for abuse” and includes Ecstasy and heroin. Designing studies can also be a challenge. Many are based on users’ memories of their symptoms and how much cannabis they use. Bias is a limitation of any study that includes self-reports. Furthermore, laboratory-based studies usually include only moderate to heavy users, who are likely to have formed some tolerance to marijuana’s effects and may not reflect the general population. These studies are also limited by using whole cannabis, which contains many cannabinoids, most of which are poorly understood.